Buy baby supplies wholesale and save money. 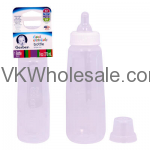 We carry variety of baby items that can help you stack up more profit for very low investment. Our wholesale baby items have been on c-store owners and dollar store owners. Minimum quantity for "I Love Mommy Terry Cloth Bib for Baby" is 12. Minimum quantity for "Baby Twin Handle Training Cup" is 12. 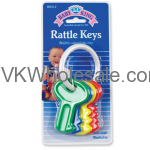 Minimum quantity for "Baby Rattle Keys Toy 1PC" is 12. 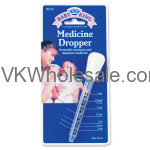 Minimum quantity for "Baby Medicine Dropper 1PC" is 12. 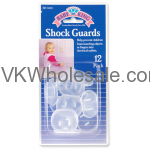 Minimum quantity for "12CT Shock Guards 1PC" is 12. Minimum quantity for "Nasal Aspirator for Baby" is 12. 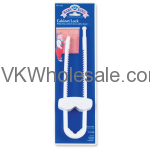 Minimum quantity for "Baby Cabinet Lock" is 12. 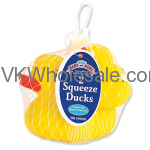 Minimum quantity for "2PK Squeeze Duck Float Toy" is 12. 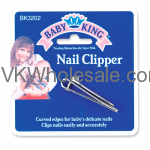 Minimum quantity for "Baby Nail Clipper 1PC" is 12. Minimum quantity for "Baby Lotion 12oz" is 12. Minimum quantity for "Gerber First Essentials Baby Bottle - CLEAR, 9oz" is 6. 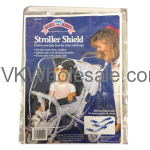 Minimum quantity for "Stroller Shield 1 PC" is 6.